Open This Little Book by Jesse Klausmeier, illustrated by Suzy Lee, entices the reader to do just that with its colorful illustrations. Once you’ve opened the book, you’ll begin a journey similar to the picture-within-a-picture experience with every turn of the page. I’m a fan of surprise endings; this book has a surprise middle! The best part of this book isn’t just its ingenious construction. The story is sweet---it’s delightful that the ladybug’s book is bigger than the giant’s book. Preschoolers will want to read this one again and again and you will too. 2013 Youth Book & Media Awards Announced! The 2013 American Library Association Awards have been announced. (A.K.A. the Academy Awards for Librarians!) Click here to go the the Youth Media Awards Facebook Page for the winners. Congratulations to the winners!!! Every year, on the Monday morning of the American Library Association Midwinter Meeting, the 2013 youth media awards are announced. This includes the Newbery and Caldecott Awards and Honor books, which will be quite celebratory this year, as the Caldecott Award is celebrating its 75th Anniversary. For librarians, this is a very exciting time to learn what books and media are announced to the world. These announcements are often referred to as the "Academy Awards for Librarians", and I attest, that that is very true! Our next LEGO® Construction Zone will be held on Sunday January 27th, from 1:30-3 p.m. in the Puett Room. Ages 5 and up are welcome to drop in to work on their own creations with other LEGO fans. We'll supply the building blocks; you bring your creativity! It's gonna be a ton of fun!!! The Shape of My Heart from first time author, Mark Sperring, illustrated by Alys Paterson, will dazzle you with its colors. It will then delight you with the simple but sweet text about the shapes of things in the world around us. This is an ideal book to share with your toddler and preschooler. There are so many things to point out and name! 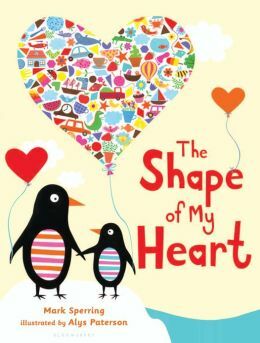 Not only can you use it as a hunt-and-find shape or object book, you could use it as a counting book as well. While the text does not point out the circles, triangles, and rectangles, it leads the reader to further discuss the shapes around us. It's Time for Food For Fines! Do you have some overdue fines you're trying to pay off? Fret no more! If you have some non-perishable food items, you can exchange them to help you pay off some of your fines...up to $10.00!! Here is how it works: For every 2 non-perishable food itmes, we will clear $1.00 of fines off your account, to to $10. You are more than welcome to donate addtional food if you like. Acceptable donations include: canned meats (tuna, chicken, salmon, etc. ), Canned and boxed meals (soup, chili, macaronni and cheese, etc. ), peanut butter, pasta, rice, cereal, canned fruits, 100% fruit juice, and baby food. We can not accept homemade, perishable or open items, unlabled, and rusty cans. Food for fines only applies to overdue fines. It does not apply to lost or damaged items. So take a bite out of hunger and your fines at the same time!!! Do you love all things little? Now is your time to shine! Come to the library this Saturday and transform a shoebox into a cosy room, then fill it with furniture, books, and anything else your creative heart desires. We'll provide the supplies, you bring your boundless imagination! Join us from 1:30-2:30 this Saturday, January 19th in the Puett Room. You Can Learn Baby Signs! The website, babysignlanguage.com has a GREAT visual dictionary that contains 600 common signs. Simply click on a word you would like to know the sign for. It will then link you to a page that explains the word, gives a visual on how to do the sign, AND many of the words contain a short video demonstrating how to do the sign! This dictionary is a lot of fun! Check it out and try doing some signs today with your youngster to help assist them in communicating before they start talking. 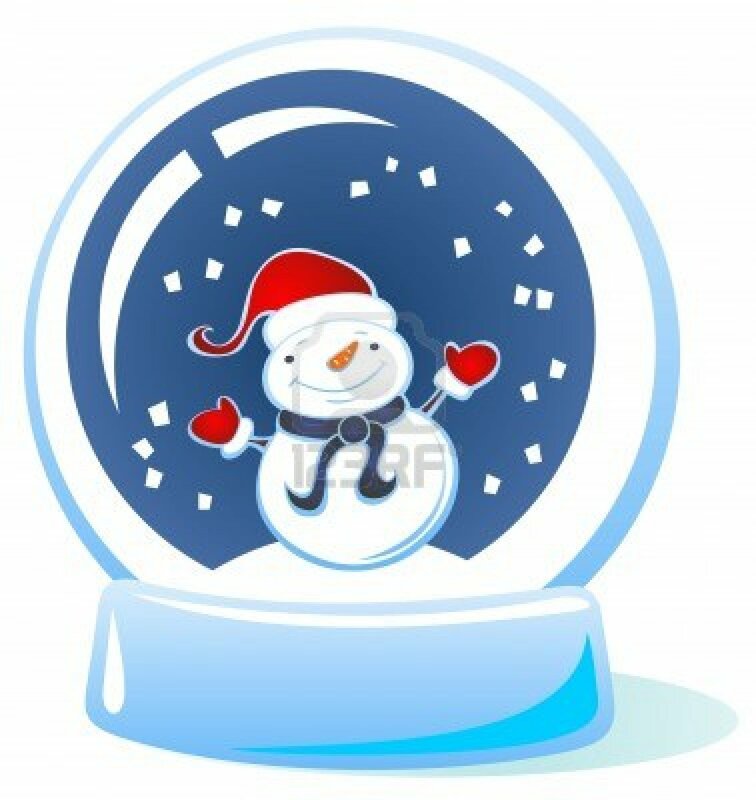 Don't you just love to look at the dreamy scene of a snowglobe? Instead, make your own winter wonderland out of paper! Join us for our Weekend Adventure, Winter Windows, this Sunday, January 13 from 1:30 to 2:30 in the Puett Room. Did you know: that on any given day, 64% of babies between 1 and 2 watch TV and videos for an average of slightly over 2 hours? Research has show over and over that developing children thrive when they are talked to, read to, played with and given time for creative play, physically active play, and interactions with other children and adults. In addition, there is no research showing the benefits of introducing children to new technologies in the first years of life. The Campaign for a Commercial free Childhood has put together a PDF guide, Facing the Screen Dilemma: Young children, technology and early education. While this document was specifically written for early childhood professionals, parents will find the research sections and practical suggestions helpful in making decisions at home. Join us for a captivating, inventive show of comedy, juggling, magic, and dance with Mz. Pearl. 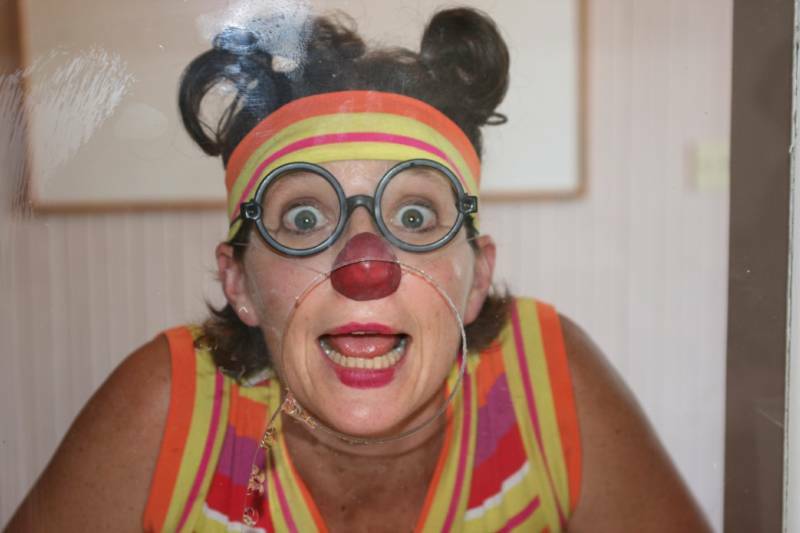 Her solo clown variety show will keep you on your toes and in stitches (not to mention, rolling around on the groud laughing too!!) The fun is happening on Tuesday January 8th at 7 p.m. in the Burgess Community Room. 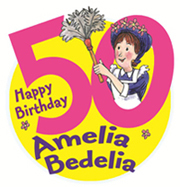 Happy Birthday to Amelia Bedelia! Who would have known that she will be turning 50 years old this year? September 2013 marks the 50th anniversary of the publication of the first book in the series. Peggy Parrish, author of the series was a third grade teacher who had students who sometimes had hillarious vocabulary mix-ups, thus becoming the idea behind the creation of the series. I know when I was learning how to read, she was one of my favorite characters to read about. I encourage your beginner reader to read some of her books too. The straight-faced Amelia who literally does excactly as she is told is just hillarious, while also teaching new readers the different meanings of words and actions, adding downright reading fun. 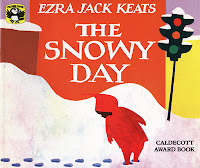 January 2012 marked the 50th anniersary of the publication of childhood favorite The Snowy Day by Ezra Jack Keats. This book not only won the Caldecott Award, it also achieved great critical success, and sold millions of copies. Need some stay at home activitiy ideas during the wintery months? Why not read The Snowy Day and have some of your own festivities? 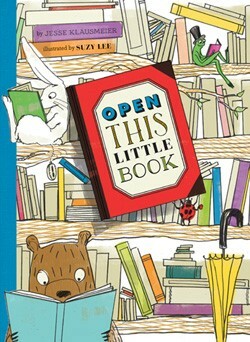 Here's some info and ideas from the publisher, and from the Ezra Jack Keats Foundation. How will you celebrate?